Submitted by Ranmore on September 23, 2015 - 5:26am. What happened to the co-op at Burning Man? Hope the knife juggling didn't go wrong. Submitted by Huttj on October 1, 2015 - 10:38am. They were short one Man for the Burning. Co-op was volunteered. Submitted by Mikasi on September 24, 2015 - 3:24pm. Wait, is he using a laser of some kind to toast that sammich? 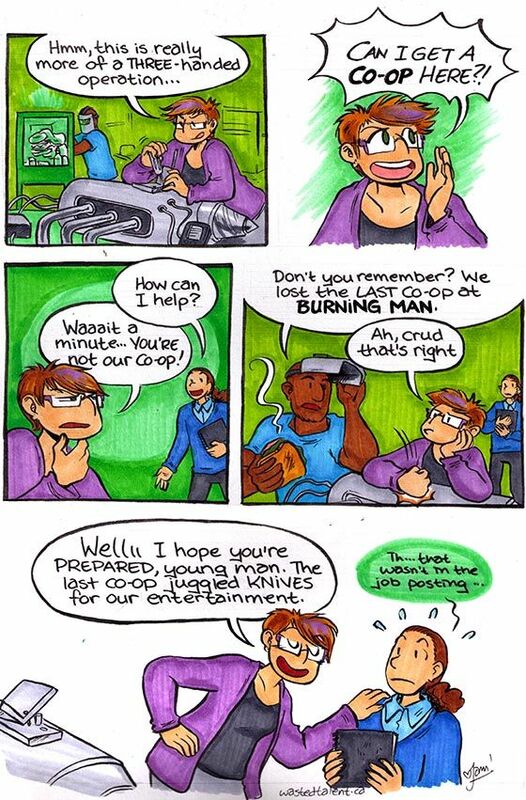 Oh whoops this is a bit farther of a callback than I thought it was... for real though our last coop could juggle knives but he didn't tell us about it until his LAST DAY I'm VERY upset about it.